An island kingdom where agriculture, food & forestry contribute significantly to better health and livelihood for all, in an economically, socially & environmentally sustainable manner. To facilitate sustainable developments of the agricultural sector through effective and efficient services to strengthen stakeholders’ capacity. The Ministry of Agriculture, Food, Forests and Fisheries (MAFFF) operates six offices throughout the main islands of the Kingdom. 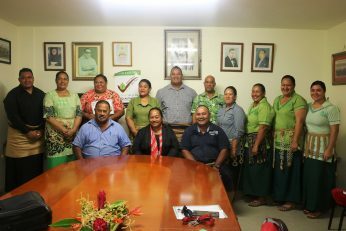 The presence of MAFFF’s offices in all the main islands of Tonga justifies the importance of agriculture sector for the livelihood of all the people of Tonga. The Head Office of the Ministry is located at Nuku’alofa. 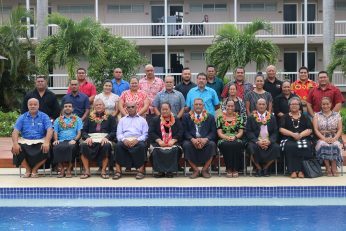 The Ministry’s offices in Tongatapu are widely dispersed in distant locations which limit the smooth, effective and efficient operation of the ministry. The Corporate Services Division (CSD), Food Division and Quarantine and Quality Management Division. 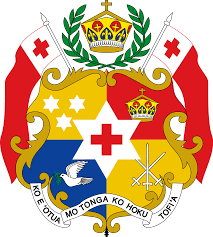 (QQMD) are located at Queen Salote Wharf at Ma’ufanga; Forestry and Livestock Divisions at Tokomololo; Extension, Women Development and Information Division at Central Nuku’alofa; and Research and Information Division at Vaini. MAFF also has offices in the Vava’u, Ha’apai, Niuatoputapu, Niuafo’ou and ‘Eua. The responsibilities, outcome and outputs of all Divisions are discussed in the development programmes and planning template. – the export of agriculture and forest products to meet importing country requirements.